With so many cosmetics available, as well as prescription drugs to combat acne and other skin blemishes, women and men today can become overwhelmed with choices. Yet even among all this abundance, it can still be difficult to find the right products to keep your skin looking clean, young, healthy and vibrant. Whether you have oily, acne-prone skin, dry skin, age spots, wrinkles, or scarring, there are products and professional treatments just right for your skin. That’s why New Jersey’s premier cosmetic center offers the specially selected line of professional cosmeceuticals Edgewater and Hoboken residents have come to love. Why should I bother getting professional cosmeceuticals? Professional cosmeceuticals are more than just cosmetics. They are products with biologically active ingredients based upon medical and scientific research whose benefits are long-lasting and healthy for your skin. Anti-aging creams and skin-tightening serums are professional cosmeceuticals, as are eye-firming lotions and the like. Edgewater and Hoboken Cosmetic & Laser Centers use only the very best professional cosmeceuticals in its facials and all cosmetic procedures, but it also makes these high-quality products available to you, the patient, to take home to maintain beautiful, healthy skin. With the top-tier products available to cleanse, correct, moisturize, and protect your skin, you can ensure that the beneficial effects of the procedures you have done will last as long as possible. Who do I trust with applying professional cosmeceuticals on me? A great skin care regimen starts with the best available professional cosmeceuticals. When you step inside Edgewater and Hoboken Cosmetic & Laser Centers, you know that Dr. T.G. Khan himself, the center’s medical director, has approved each and every cosmeceutical product on the shelves. More than an aesthetic consultant, Dr. T.G. Khan is a board-certified physician and has received extensive training in surgical and non-surgical cosmetic procedures. Having completed his fellowship training in Oculoplastic and Reconstructive surgery with Outstanding Merit at Albany Medical Center, Dr. T.G. Khan has over 10 years of experience in proving his comprehensive skills and expertise again and again. 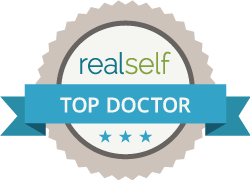 You have no better partner in beauty and skin health than Dr. T.G. Khan, and no better choice for obtaining the best professional cosmeceuticals on the market than Edgewater and Hoboken Cosmetic & Laser Centers. To learn more and buy our professional products, call us today at 201.313.8899. You’ll be glad you called.